Wangjing may not be the first place you picture when you think of an expat enclave. But as Beijing’s unofficial Koreatown, Wangjing is the perfect place to absorb some Korean culture without fighting over carry-on luggage space. Though Wangjing is still mostly residential and business-oriented, you can find plenty of family-friendly gold nugget experiences here. Places of interest are spread out, so wear your walking shoes, bring your adventurous spirit, and come hungry. The day begins at the Loftel Building, just a two-minute walk north from exit C of Wangjing subway station. If you lack sufficient caffeination, stop by the Starbucks before heading up to floor 17, where BookArt (1) is located. 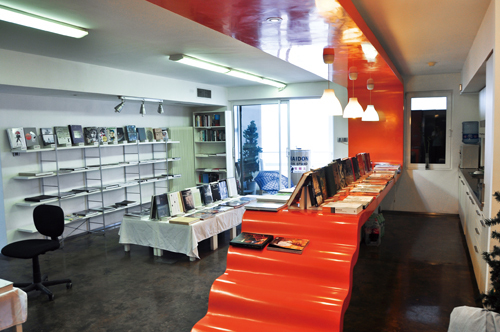 This funky store is a trove of interesting art books (mostly in English) about painting, drawing, photography, movies, comic books, and more. Take a while to learn about the history of DC Comics or flip through artist retrospectives. After you’ve had your dose of culture, head north on Guangshun Beidajie. At the corner of Huguang Beijie, take a moment to admire the rainbow bridge with the slogan “Use wisdom to create wealth in Wangjing.” Then, turn left on Huguang Beijie and stroll west along the tree-lined streets. Keep an eye out for Pizza Hut; just beside it is a little store called Bottle’s. This stop has a surprising collection of German and Belgian imported beers at better prices than Jenny Lou’s or Carrefour. Lunch is the next priority, so head to Zi Xia Men Restaurant (2) for some delicious and authentic Korean food. Get there by walking a short distance west on Huguang Beijie; at the southeast corner of Huguang Beijie and Nanhu Nanlu, next to the bakery, there’s an entrance to the restaurant through what looks like a stone archway. Take the elevator up to the fifth floor to reach the restaurant. Zi Xia Men is generally packed with Chinese and Korean patrons; in the event that you have to wait for a table, the restaurant offers RMB 5 off your meal – provided you hang on to the ticket with your number on it. The menu is filled with delicious options like Korean-style barbecue, bibimbap (a bowl of rice with vegetables, eggs, usually some beef, and chili sauce on the side), and fried chicken for those with a less adventurous palate. Now that blood sugar levels are stabilized, it’s time to do something more adventurous. Walk south on Nanhu Nanlu for 15 to 20 minutes. 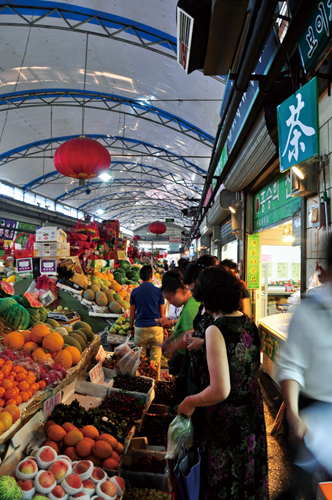 Across from the pink buildings of Beijing Normal University, you’ll see the giant blue dome covering Nanhu Market (3). Inside are all sorts of items, like Korean herbs, teapots, and fresh foods, but the real gold mine is the Korean snacks (try out some of the sweet sticky rice snacks), and grocery items. Continue south on Nanhu Nanlu, turn left on Futong Xidajie and enjoy the flowers alongside the sidewalk and funky berries hanging from the trees. Turn left again at Guangshun Beidajie and head into CapitaMall (4). 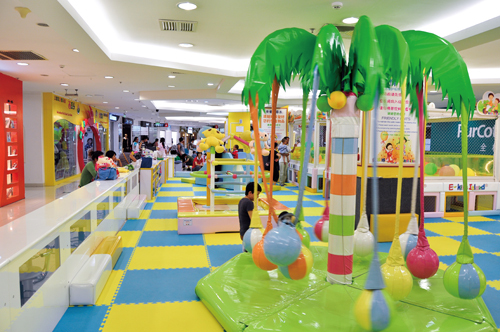 Head up to the fourth floor, where there is a large play area for wee ones, which includes a sandbox (RMB 25 to play), a fishing pond (RMB 15 for 20 minutes), and a large play area (RMB 60). Older kids might enjoy the arcade just behind the play area. If your young child is looking shaggy, get his or her hair trimmed at Melonhead (5). Kids can sit in cool cars during the haircut. Once you’ve had your fun at the mall, keep going north on Guangshun Bedajie and turn right on Hongchang Lu. 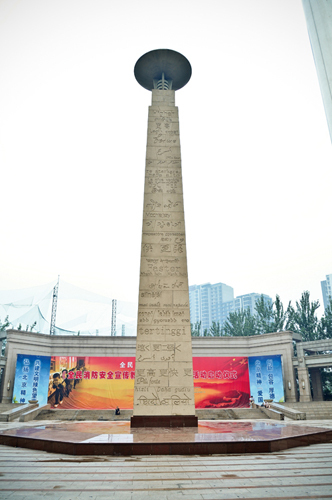 On the left is Culture Square (6), where you can soak up sun on a nice day beside the tall, inscribed pillar with inspiring words like “faster” and “higher” in a variety of languages. From there, you can hop on the subway to go home or backtrack a few steps to Golden Hans (7), a German-style barbecue buffet. Then, it’s just a quick jaunt across the street to the subway or a flick of the wrist for a taxi.